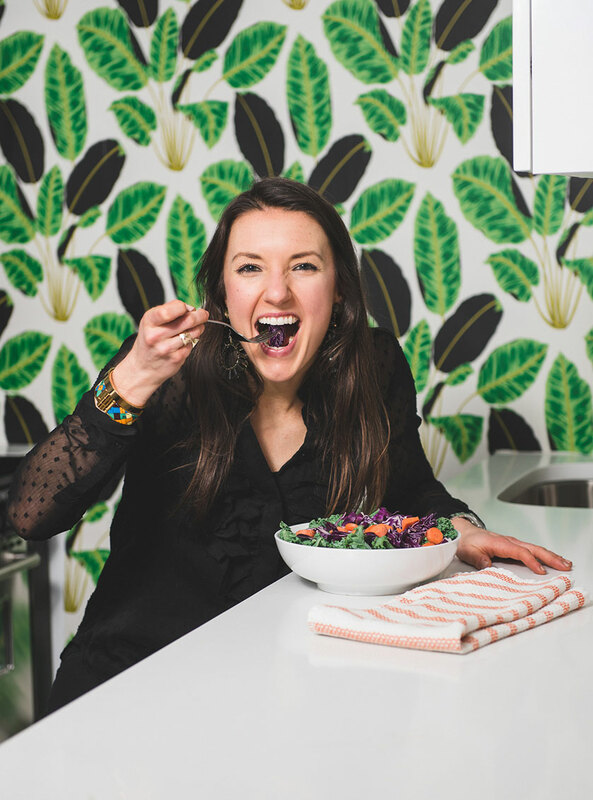 We absolutely LOVE making delicious bowls for any meal, and breakfast is no exception! 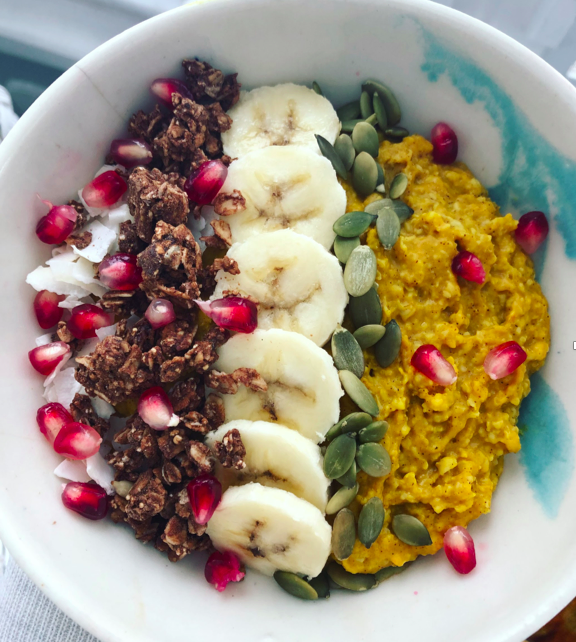 Our amazing intern, Kathleen, created this hearty turmeric oatmeal recipe that is loaded with flavor, color and healthy nutrients for your body. This recipe is vegan, and gluten free, and only takes about 10 minutes to make (making it perfect for those busy mornings!). She used both turmeric and cinnamon, which are powerful anti-oxidants and anti-inflammatories. Oats are a great source of gut healthy fiber and minerals like magnesium, calcium and iron. Studies show that oats and oatmeal have many health benefits including weight loss, lower blood sugar levels and a reduced risk of heart disease. Kathleen topped off her oatmeal with banana on top for a little sweetness, but feel free to swap out for another fruit if you like! In a small sauce pot bring the water to a boil; add in oats and reduce boil to a simmer. As the oats are cooking, stir in 1 tsp of turmeric and 1 tbsp (or more) of cinnamon. It will turn a beautiful orange color! The oats should cook in less than 5 minutes. Add a touch of your favorite sweetener, then serve and enjoy!